Since 2003, the annual Speak Up survey has collected data from students, parents, educators and the local community about technology, learning, and schools. This year 521,694 students, parents, educators, and community members participated in Speak Up, with over 85,000 of those surveys taken during Speak Up America week alone! In its second year, Speak Up America celebrated past and present participants with opportunities to win classroom grants, free conference registrations, and more. Below you will find all the great promotions and happenings that took place during Speak Up America 2014. Be sure to check back next year to learn about all the fun and exciting events that will be taking place during Speak Up 2015! The highlight of the Speak Up America 2014 Campaign took place on Wednesday December 10, 2014 with National Speak Up Day! National Speak Up Day was the day to encourage participation, with a special opportunity to win a free 2015 ISTE conference registration and a Twitter chat with Project Tomorrow CEO Julie Evans about surprising Speak Up 2014 preliminary data. Thank you to everyone that participated not only in National Speak Up Day but in the entire Speak Up survey period! This year we launched our popular Speak Up America Photo Challenge and our first annual Speak Up America Video challenge, where four lucky schools had the opportunity to win $225 grants and one lucky school had the opportunity to win a $250 grant. In order to enter the challenge, all participants had to do was take a picture with the Speak Up 2014 participant badge or film a 15-30 video answering the question, ““Why is using digital tools for learning important for your (students’) future?”, and then post to one of our social media accounts (Facebook, Instagram, Twitter) or by email with the hashtag #SpeakUpsnapshot (photo challenge) or #VoicesofSpeakUp (video challenge). Thank you to everyone who submitted a #speakupsnapshot this year! Click here to view all the entries. Thanks to our good friends at the International Society for Technology in Education (ISTE), we received two 2015 ISTE conference registrations (a $392 value) to gift to two of our Speak Up districts just for their participation in the survey during the Speak Up America Campaign. Congratulations to our winners Shelby County School District, AL and Wake County Public School System, NC for taking home the Speak Up America free ISTE conference registrations! Be sure to check back next year for the great promotions and happenings that will be taking place throughout the survey period and Speak Up America week. 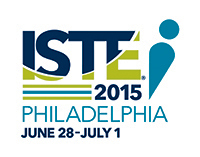 In addition their free ISTE conference registration, the selected recipients attending the conference will also have the opportunity to join our CEO Julie Evans for dinner in downtown Philadelphia. This year the awesome folks at CUE, NCCE, NETA, and TCEA offered free conference registrations to districts from their respective regions. All districts had to do in oreer to win was encourage their staff, students, parents, and local community to participate in Speak Up. Every participant entered each district into the conference registration drawings to win – the more surveys that districts had, the better! This year the wonderful folks at the Texas Computer Education Association (TCEA) offered a free TCEA 2015 Conference & Exposition registration to one lucky Texas school district. The winning district is Mission Consolidated Independent School District in Mission, TX. Congratulations! 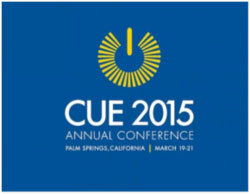 Congratulations to Clark County Schools, NV and Anaheim City School District, CA on winning free registrations to the CUE 2015 Annual Conference! Thank you CUE for this amazing opportunity! Thank you once again to our friends at the Northwest Council for Computer Education (NCCE) for offering a free registration to their 2015 conference in Portland, Oregon. Congratulations to the winning school – Lakeside High School from Nine Mile Falls School District, WA! Congratulation to Mullen Public Schools, NE on winning a free registration to the 2015 NETA conference in Omaha, NE! Thank you to the Nebraska Educational Technology Association for the free registration and wonderful opportunity! In a special extension of our Speak Up America promotions, our good friends and wonderful sponsors of Speak Up, Blackboard, offered a free BbWorld 2015 conference badge to gift to one lucky Blackboard district during our final week of Speak Up! Congratulations to Klein ISD, TX on winning the registration! Our friends at the International Association for K-12 Online Learning (iNACOL) graciously donated a free 2015 iNACOL Blended and Online Learning Symposium registration to one lucky Speak Up district. Congratulations to Albemarle County Public Schools, VA – we hope you have a great time at the symposium in Florida! Our good friends and wonderful sponsors of Speak Up, BrainPOP, graciously offered two free BrainPOP classroom certificates good for one year of BrainPOP, BrainPOP Jr., BrainPOP ESL and BrainPOP Español ($670 value) to gift to the top participating Speak Up elementary school during Speak Up America Week. This year’s BrainPOP promotion was a very tight race with TWO schools tying for the top spot. Rather than selecting the winner based on a tie-breaker, BrainPOP generously offered an additional BrainPOP classroom subscription, enabling us to gift this extremely valuable resource to both of our top Speak Up America elementary schools! Congratulations to Bradie M Shrum Elementary from Salem Community Schools, IN and Magma Ranch K-8 School from Florence Unified School District, AZ!